I kind of want a whole lot of these for my cubicle. Our Moose Trophy Puzzles are laser-cut for precision fit and easy assembly using slotted construction. 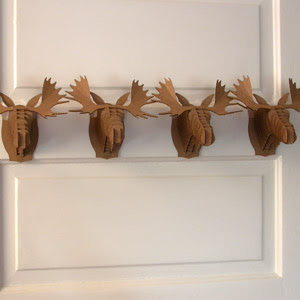 They look great in their native brown color or can be decorated with paint, glitter, wrapping paper or other craft materials.